Today, it’s just going to be you and I this episode, as we detail how to make that first big step and go from 0 to 1. Today’s episode is for that person who has been wrestling with doing their first deal. While that might not be you, I’m sure you know of someone who fits this bill. 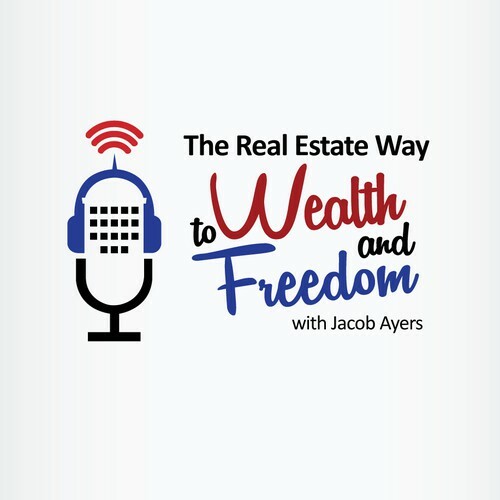 The goal of this podcast is to provide actionable content for you. We have interviewed a wide range of real estate professionals, from lenders, real estate brokers, asset protection and real estate attorneys, to investors, both large and small with portfolios ranging from a single property to thousands of apartments and homes. While I try to make this information concise and as easy to understand as possible, I understand it can seem overwhelming at times. So today, we’re going to break it down on how you can go from 0 to 1. And for those of you at 1, or 2, or 10, or 500, many of the same principals apply. It all starts with your mindset. Real estate investing can be both tremendously trying and rewarding. There will be ups and downs, wins and losses, and trials and tribulations. Investing in real estate will require a certain mindset in order to navigate through these obstacles. But with the right mindset, one can achieve levels of wealth most forget about even dreaming of. Rod Khleif, who’s interview aired on Episode 01 and is perhaps my favorite person when it comes to developing your mindset, says that you must stay motivated to overcome adversities (or seminars as Rod calls them) by having powerful reasons why. By having a strong reason why, which is something we talk a lot of here on the show, you’ll have something that drives your to push through adversities where others would give up. Next is goal setting. I’m sure this sounds like a broken record to some of you, but I cannot stress enough the importance of goals setting. By having clearly defined goals, you’ll be able to map out your path to success, how you define it. That success may be a certain net worth in 10 years, or X amount of dollars in passive income and financial freedom in 3 years or extra income to be able to travel to a new country every year. Whatever your goals are, they’ll act as your road map as you are building your real estate portfolio. Once you have mentally prepared yourself for the vast success you’ll experience, it’s time to start educating yourself. Education comes in many forms, from formal education in a classroom, to self-education through books, podcasts, online courses and materials. Jim Rohn said, “Formal education will make you a living; self-education will make you a fortune.” So don’t underestimate the power of your ability to learn on your own. It’s important to realize that you don’t have to know everything before you get started investing in real estate. If that were the case, no one would ever accomplish anything! Now you have the mindset, and the minimum amount of education necessary to get started. What next?! Identify the market you want to invest. For most people, this is the market in which they live. For some, though, your home market may not fit your goals or investing criteria. In which case, you’ll have to invest in a different market. While there are extra hurdles investing outside your home market, it’s certainly doable and a lot of people are successful doing so. In Episode 21, Brian Robbins walked us through how he analyzes markets and provided free online resources he uses to research markets. Once you have identified the market you are going to invest in, now is time to determine the property type. Most likely, your first deal with be either a single family property or small multifamily. We discussed how to find deals on Episode 38 with resources and strategies for both on market and off market deals. Once you have identified your property type, it’s time to start crunching numbers and analyzing deals. On Episode 32 we discussed how to estimate expenses on properties, and when to consult with vendors, agents, etc. for help with estimating expenses like insurance, property taxes, etc. Before you make an offer on a property, it’s important to have a relationship with a lender. Most of the time, the best lenders are local banks or credit unions, rather than the big banks. Talk with a lender about what you’re trying to buy to get an idea of what terms you can expect. You might go as far as getting pre-approved for a certain purchase price, By having this relationship established with a lender, the process of closing on a property will be much easier, with fewer surprises. Once your find a property that fits your investing criteria, and have analyzed the numbers, it’s time to submit an offer. You can do this with the help of a real estate agent if you’re working with one, or do this on your own. It’s a relatively informal process, and can done with a simple Letter of Intent. The seller will either accept, reject, or counter your offer. Once you have agreed on a sale price, the clock starts ticking! You’ll have a certain amount of time to do your due diligence, have the property inspected and appraised, and close on the property. Typically all of this takes about 30 days. During this time, you’ll need to get the property insured, as well as have the property inspected for any issues. Once you close on the property, typically at a title company office, you are officially the owner of a new rental property! Congratulations! You’ll have decided by this point whether you are going to self-manage the property or hire a property manager. If the property does not have a tenant when you buy it, getting it occupied will be your number one priority. The property may require some repairs or upgrades to make it rentable. You’ll have discovered anything required to get it rent ready during your due diligence. And that is how you buy your first rental property! You are officially a real estate investor. The best part about all of this is you don’t have to reinvent the wheel. This is a repeatable process that you can do over and over again. By continuously reinvesting, you’ll be able to exponentially grow your portfolio, so that eventually you’ll have passive income that exceeds your living expenses, reaching financial freedom! It all starts with taking that first step!